Acknowledging Rishabh Pant's consistent performance, the BCCI has rewarded the young wicketkeeper-batsman with a grade A retainership while demoting senior opener Shikhar Dhawan from the elite A plus category in the latest list of Central Contracts. The Board of Control for Cricket in India (BCCI) announced the annual contracts late on Thursday night, handing retainership to 25 cricketers in four groups of A plus (Rs 7 crore), A (Rs 5 crore), B (Rs 3 crore) and C (Rs 1 crore). Not only Dhawan but pacer Bhuvneshwar Kumar has also been dropped from the highest-paying category and now only three players -- skipper Virat Kohli, limited overs deputy Rohit Sharma and premier pacer in all formats speedster Jasprit Bumrah -- figure in the elite category. While left arm pacer Khaleel Ahmed and batsman Hanuma Vihari are new entrants in the C group. 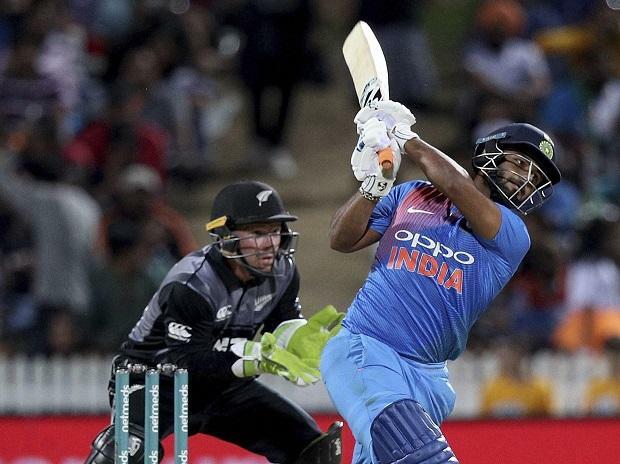 Mayank Agarwal, Prithvi Shaw and Vijay Shankar, who have made impression in Tests and limited overs respectively, have not been included in the list since they do not meet the criteria of having played either three Tests or eight ODIs. It seems to be curtains for veterans Murali Vijay and Suresh Raina, who have been dropped from the list after being in A and C group in last year's list. They are no longer in reckoning for national team. The biggest gainer is 21-year-old Pant, who wasn't a part of the last year's list but directly made it to the A group with 10 others. Pant is expected to be a first choice in all formats once MS Dhoni retires. He was rewarded for being the first Indian keeper to score Test hundred in England and Australia. Chinaman Kuldeep, who has become India's frontline spinner in all three formats, has been promoted to A from the B category. The notable loser was Dhawan, who has had dip in form in last six months in ODIs. He was also dropped from the Test squad before the Australia series. Bhuvneshwar also lost out on A plus category as he is no longer an all- format certainty. The same logic was applied to Cheteshwar Pujara as he was retained in A category contract. "Pujara did well in Australia but A plus category is only for those who are excelling in at least two if not three formats. Pujara is only playing one format. Similarly Ishant Sharma plays one format and is in A category," a BCCI official told PTI on condition of anonymity. Ajinkya Rahane remains in A category while Kuldeep Yadav is also part of second best group. Hardik Pandya and KL Rahul, the two players embroiled in recent chat show controversy, remain in B group along with Umesh Yadav and Yuzvendra Chahal. Wriddhiman Saha, who missed out on entire last season due to a shoulder surgery, has been demoted from B to C category. Jayant Yadav, Karun Nair, Parthiv Patel and Axar Patel are also out of central contracts as they have fallen off the radar. B: KL Rahul, Hardik Pandya, Umesh Yadav, Yuzvendra Chahal. C: Kedar Jadhav, Dinesh Karthik, Ambati Rayudu, Manish Pandey, Hanuma Vihari, Khaleel Ahmed, Wriddhiman Saha.